Can I first say that both of these books have amazingly gorgeous covers?? And the stories sound pretty awesome as well. I can't wait to read both of these!! OOh nice! These are new to me but I love the covers!! So gorgeous! Snow Like Ashes sounds so good! I've had my eye on it for a while too :) I love fantasy, and I'm so excited when debut authors write new fantasy books! 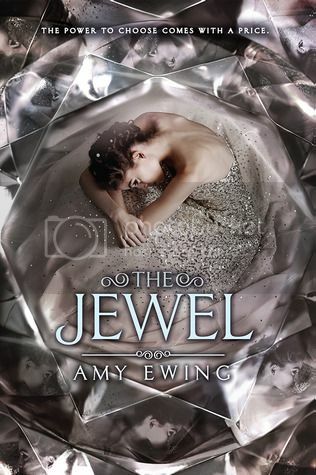 I hadn't heard of The Jewel at all (yet) but the description kind of reminds me of Atwood's The Handmaid's Tale - could be really interesting to pick it up for that reason and see Amy Ewing's take on a similar issue! Both of these covers are SO GORGEOUS!! And the stories sound awesome, too. Both have amazing covers, great picks.